Miss Nongyao Pachirat, Vice President of Government Saving Bank (GSB), together with GSB?? ?s top executives and employees, and Mr. Kampu Puripuvadon, the News Reporter of ?? ?Jub Ngern Chon Thong? 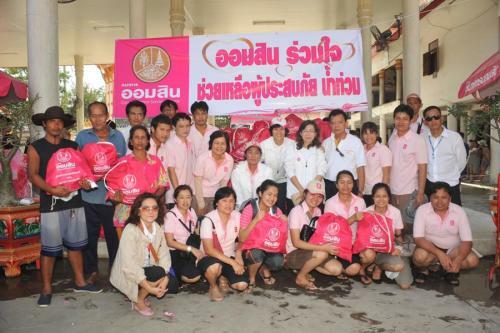 ?� TV Show, Modernine TV, jointly visited the flooding area to give the relief bags, medical supplies, drinking water, to flood victims at Pratumthani province, October 19 2011.